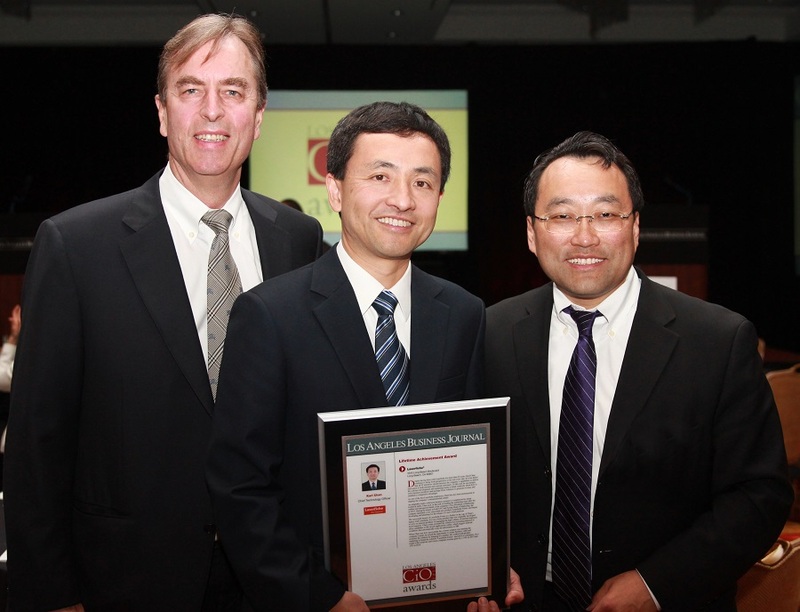 Earlier this month, the Los Angeles Business Journal (LABJ) honored the Long Beach-based Laserfiche President and Chief Technology Officer (CTO) Karl Chan at its annual CIO/CTO Awards at the Los Angeles Hotel Downtown with a Lifetime Achievement Award. According to a release, Chan has served as the CTO since 2005, after working for the company since 1989. Chan said he was honored by the award, which was presented to him on June 3. “I’m honored, but I don’t feel old enough to have a Lifetime Achievement Award! I’m only in my 40s, and I’m having a lot of fun in my work developing enterprise content management (ECM) software,” he told the Post. According to Laserfiche employees, Chan was “instrumental” in creating 1994’s Laserfiche for Windows, 1997’s Laserfiche Workflow and 2011’s Laserfiche Forms. He also helped establish the company’s recent products, Laserfiche Connector and Laserfiche Cloud. Chan said his success was due to his approach to work. Other Laserfiche executives praised Chan’s technical expertise, as well as the personal energy he brought to each workday. Laserfiche’s Long Beach Headquarters are located at 3545 Long Beach Boulevard.